Cumin plants are low and sprawling because of the weak stems that will not support the weight of the large heads of the flowers and seed. This plant needs 4 months of warm weather and therefore, does not mature its seeds in the northern climates unless the plants are started indoors. When they are planted outside, the seed is sown 16 to 20 seeds per foot and plants are not thinned. A thick growth helps support the heavy heads of flowers and keeps them off the ground. 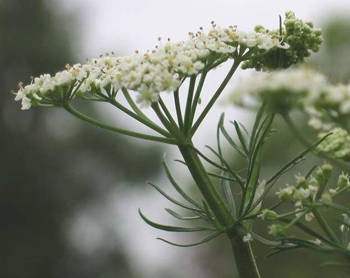 This herb, as a member of the carrot family, has finely divided foliage and lavender-white flowers. The seeds ripen in late fall. When the heads begin to turn brown, they should be cut and dried indoors. When thoroughly dry, the heads are separated by rubbing between the hands. Seeds are small and separate from most of the chaff and stems by being strained through a sieve. Native to the eastern Mediterranean, especially the upper reaches of the Nile in Egypt. Cumin was known to the early Persians, Egyptians, and Hebrews. Its use followed civilization around the Mediterranean into France and England, though it has never become popular in the northern countries as it has been in the Near East. At one time, when pepper was rare and expensive, the Romans substituted cumin. In the time of Christ, the value of cumin had increased until it had become negotiable in payment of taxes. Mentioned in the ancient Biblical writings and by Hippocrates and Dioscorides. In the Middle Ages, cumin was a very popular household medicine and spice. 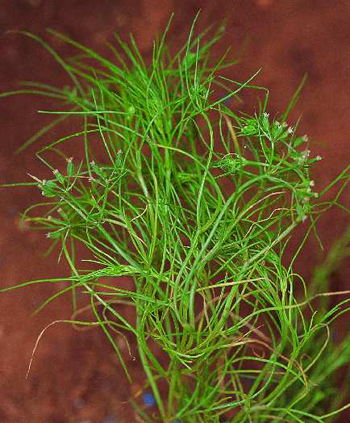 As a condiment, the seeds of cumin are still used mainly in Europe. Cumin seeds are used in many Mexican dishes, exotic international dishes, and especially in East India cooking. In Trinidad, natives parch the seeds before using them in cooking. The seeds are used to flavor bread, cookies, cheese, sausage, meats, vegetables, fish and game. Sometimes the seeds are used as an ingredient of curry powder or chili powder. Along with caraway, is used in the making of Kummel. In India, the seeds are used to flavor wine. The seeds are similar to caraway seeds in appearance and flavor; though lighter in color, its flavor is stronger and less refined. Cumin seed is said to attract animals, especially horses. The seeds rubbed on the hand and the hand passed over the nose of a horse, the horse becomes docile and will follow anywhere. Place a small amount on a sugar cube and give it to a horse to eat, or place on bait for catching wild animals, works wonderfully. Used to treat digestive weakness, gas, bloat, colic, headache. Taken for coughs, colds. Externally, will hasten the healing of bruises and injuries. Prolonged use of cumin in large quantities can result in a pale, wan complexion.